I posted my 2012 flower garden review on December 26th. My garden posts were my most viewed posts in 2012. At least they were until November and December, when a few of my Christmas crafts and vignettes went over very big! Rather than review the Christmas posts that I just recapped earlier this month, I am posting a vignette review. I have been blogging a little over a year now and many of these early vignettes were below everybody's radar. 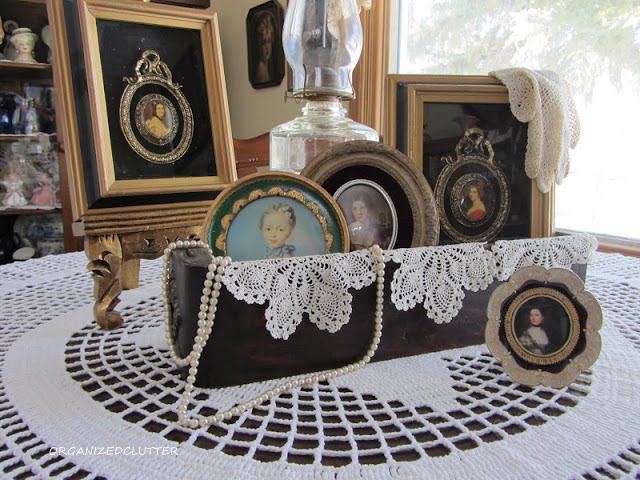 Victorian ladies vignette in a sewing drawer was one of my first vignettes to go over 500 pageviews. If you would like to view this post, click here. 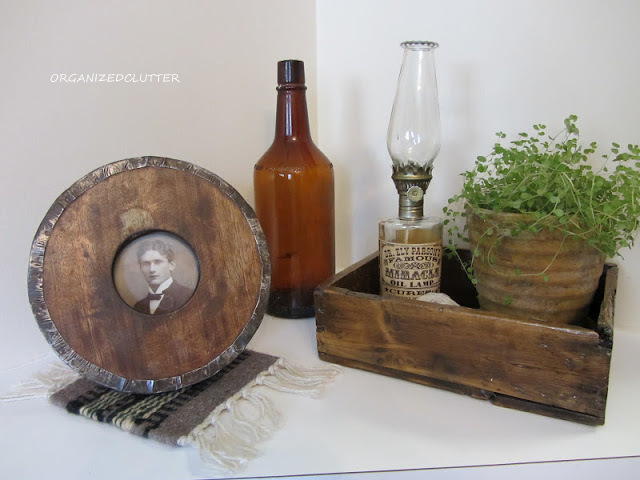 My purchase of the round, rustic frame and wood box inspired this vignette. Click here to view the post. 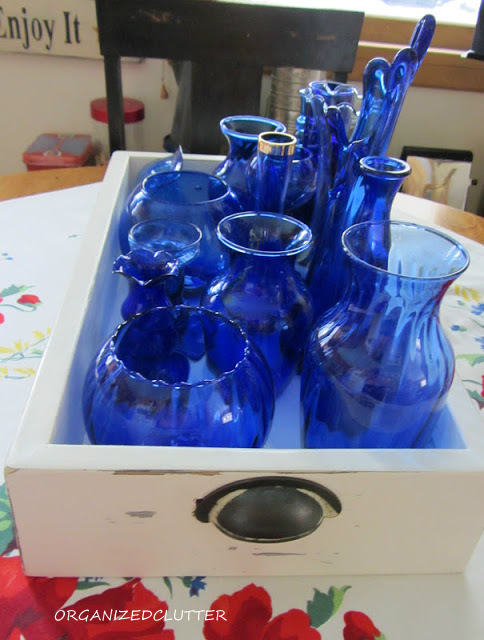 A vintage tablecloth, a white painted wood box and a collection of cobalt blue vases, complete this vignette. 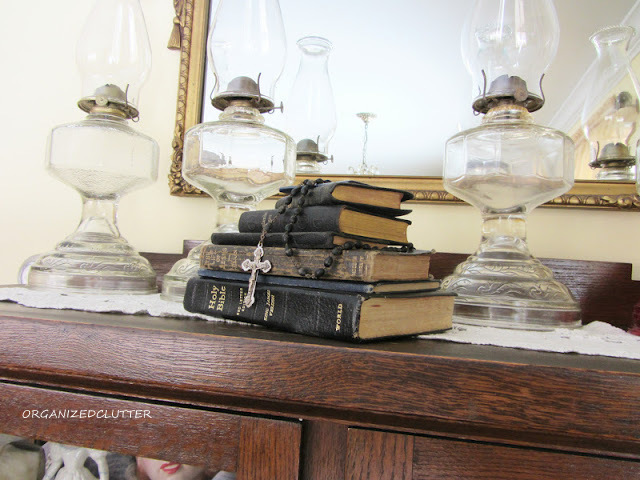 Some of my vintage Bibles and oil lamps are displayed in A Stack of Bibles. 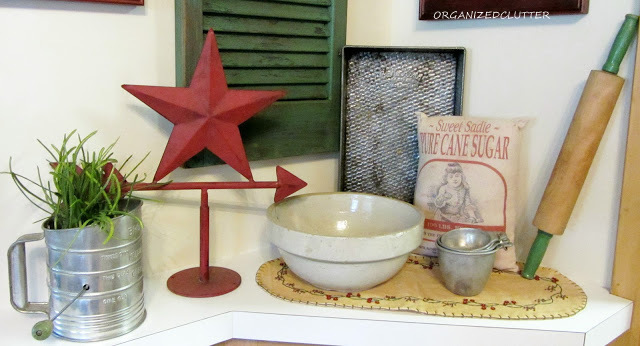 One of my kitchen corner vignettes with vintage baking collectibles. 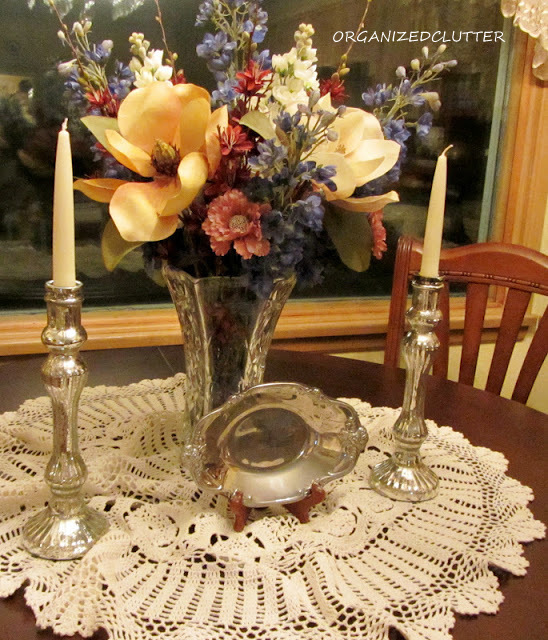 My dining room table bouquet vignette. 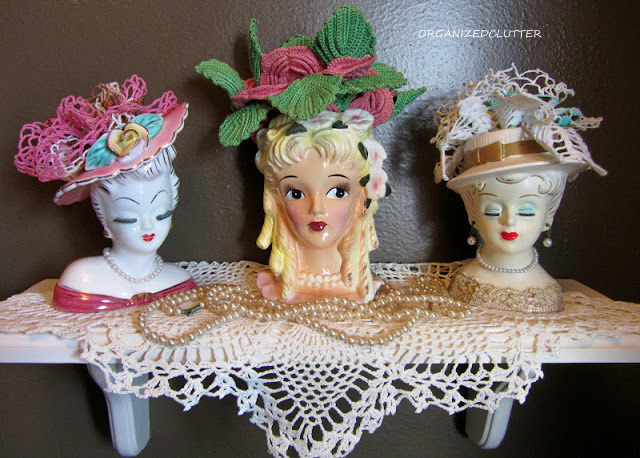 This In Your Easter Bonnet vignette featured some head vases from my collection. This was my first vignette with a cloche! My Mother's Day Cloche. 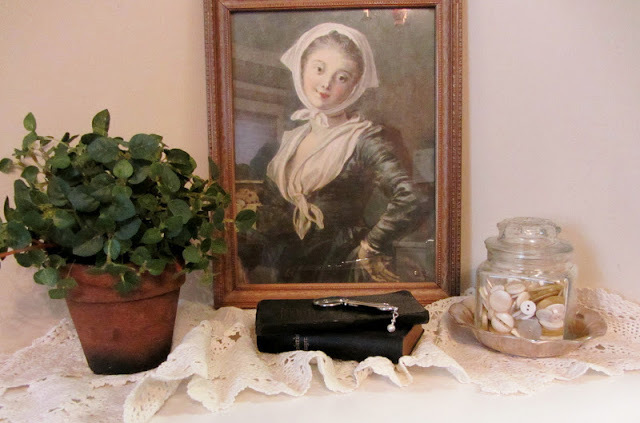 The Vintage Lady in Scarf picture inspired this vignette. In Grandma's Gift is Sew Special, I reveal a very special treadle sewing machine from my Grandma. I have a better camera and I think better photography skills since these were taken! 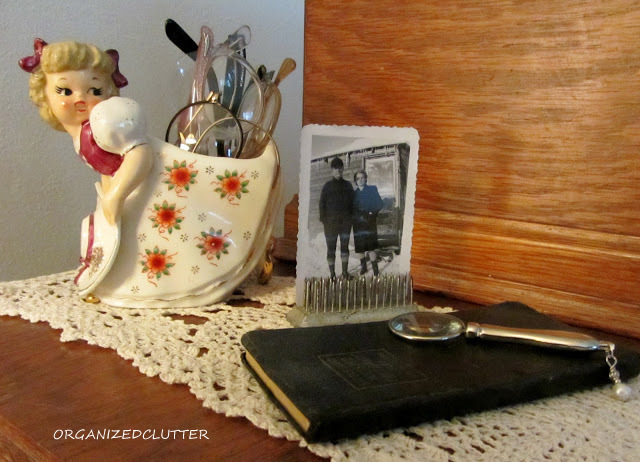 I love putting together vignettes. Hope you enjoyed them! I love vignettes and get inspired by you all the time! I love that stack of bibles vignette. I think I just drooled on the keyboard! I love vignettes! The headvase I have is about 3" tall and holds a vintage bakelite manicure set. The handles match part of the outfit the woman is wearing. I thought I was clever till I saw the doilies in yours! I stick hankies in little girl planters but DOILIES! So much better filling power! SMART COOKIE! Showing to my husband...see honey, other people do "vignettes" too. I didn't just make it up! Love all your vignettes. Will take time to visit some of them. Your photos are great too. Just found your blog...love, love your vigenttes!! So special! I am your newest follower! I remember most of those vignettes...but it is great to see them again! The bible vignette with the oil lamps is gorgeous. I love vignettes. BTW, my most viewed post of all times has photos taken with my camera phone. Yuck! It was when I first started blogging and I keep thinking that I need to put a disclaimer on the post that says that I actually can take photos that are in focus now! So many pretty vignettes, Carlene. I love your cobalt blue vases. They make quite a statement all grouped together like that. Love, love all your vignettes! Just beautiful! I love your vignettes, Carlene...you do a beautiful job with displays! You have a treasure trove of "stuff" to create your fabulous displays! 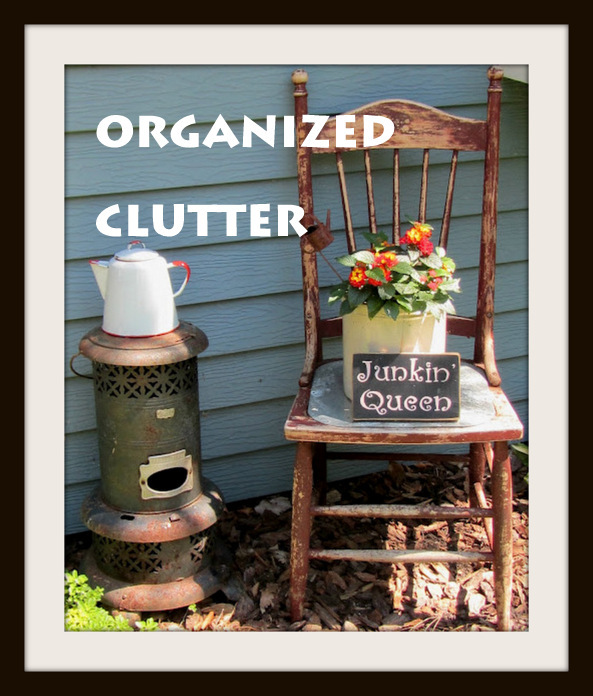 I need to get my own junk more organized so I can find it when I want to use it! 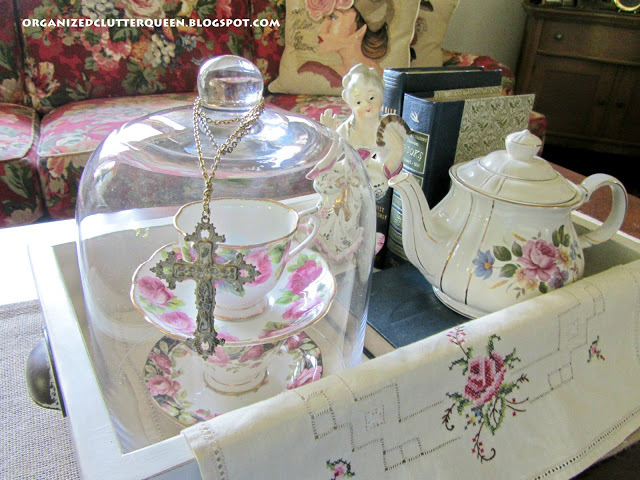 Everything is so pretty, my favorite is your cloche for Mother's Day! 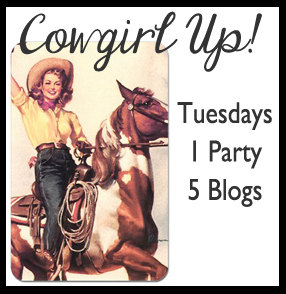 Happy Blogging for 2013! What beautiful vignettes, I enjoyed looking back with you. I wish a very Happy and Healthy New Year. I am playing catch up as it has been a bust Holiday season!! Just wanted to stop by and wish you a very Happy and healthy New Year!! I have so enjoyed visiting you and can not wait to see all the inspiration that you have to give for the coming year! !